I just can not escape this style. 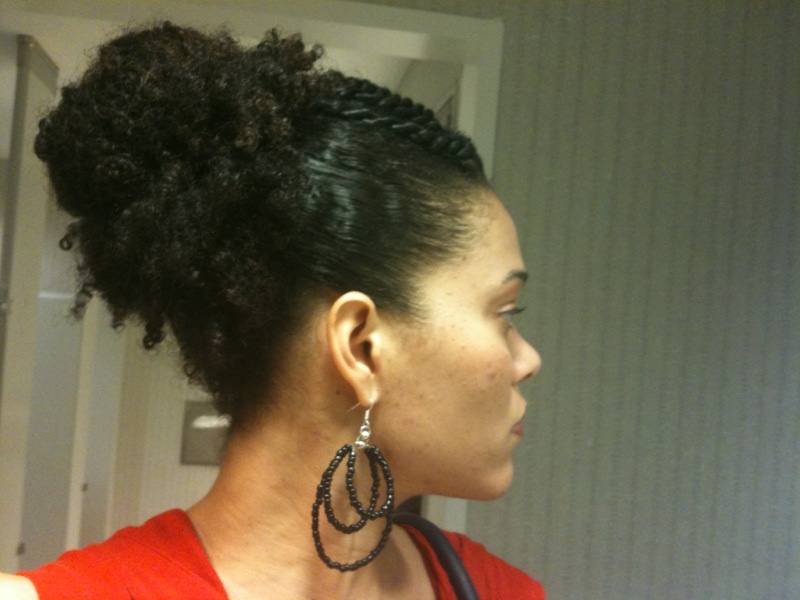 I have been wearing my hair like this for as long as I could catch a ponytail after BC #1. I come back to it whenever I'm rushing for work, have no time to wash and go, or not time to de-tangle. Thus it's sort of lazy and sort of protective, but not really either lol. Alas. I find myself doing it this week again. Yesterday I did the old standby- a side part, and huge flat twist on the big side, and a roughly gathered tangled knot bun to the back, right side. 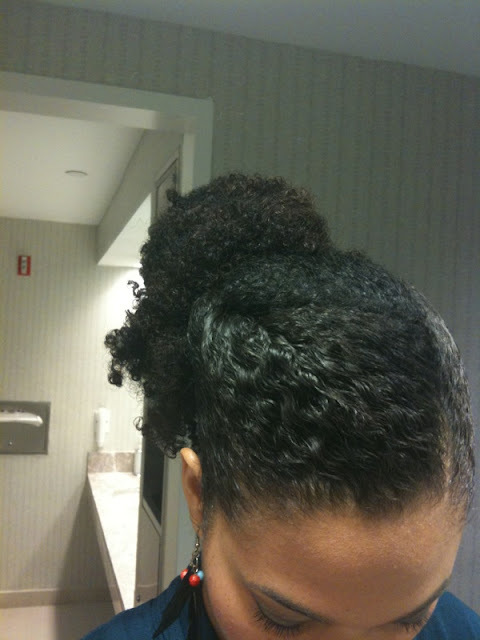 Today, again, I didn't de-tangle the back but I took down the "bang" area and did 4 single twists. 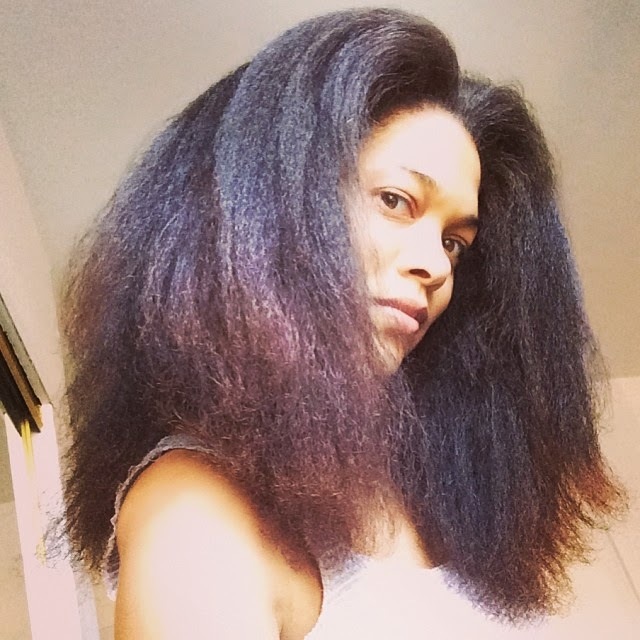 I used another old standby- Garnier Fructis Style Soft Curl Cream, which I now get on Amazon because I can not find it in stores. Its super thick, gives a nice shine and hold and smells great. It only works on my edges and ponytails though, like a thick, tacky gel. It's all much smoother today because it had been trained straight by yesterday's style. 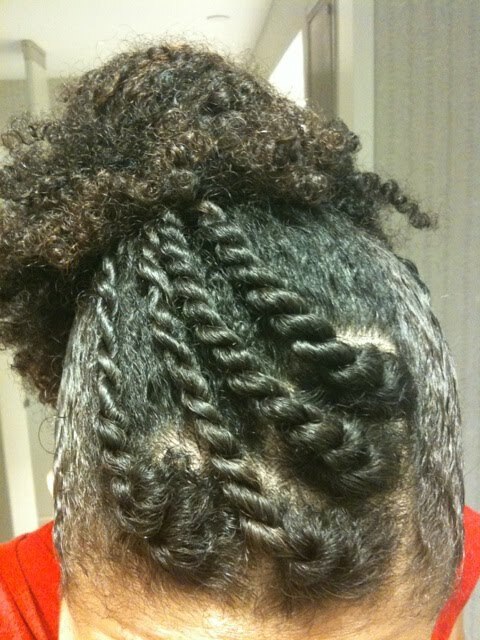 I like the twists in front for the texture. The whole style is kind of like the bump in front look that has been popular lately. The nappy knott just gets bigger and bigger!!! This is a really cute style. I love the added detail of the twists. I may have to add this to my repertoire. Haha, that's just a polite way of saying I'm gonna jack the swag...hope you don't mind. I will let you know how it turns out. 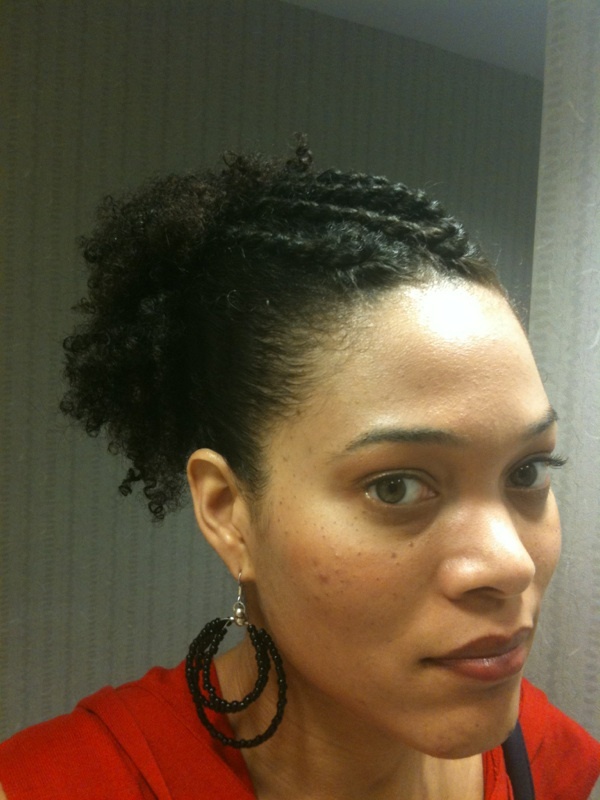 I've tried that Fructis curl cream and it was very effective at holding down the flyaways. Those curls around my face that really didn't want to submit. Glad to know that Amazon carries it. this style is so pretty. i can't wait until my hair is long enough to try this. What are you using to hold the pony tail? Wash n Go season! Impending hair cut. My mom is so Fly. Happy Mother's day!